to filter and remove pathogens and contaminants. Even in rainy Washington, water is a precious commodity. Agriculture, industry and our communities all depend on sufficient, stable supplies of water. As our state’s population and economy grows, finding ways to conserve water is becoming more important. A new rule from the Washington Department of Ecology will streamline the process for reclaiming water. The rule requires that reclaimed water projects protect public health and water quality. Reclaimed water can be used for irrigation, landscaping, flushing toilets, improving wetlands or stream flows, recharging groundwater and other beneficial uses. It addresses all aspects of reclaimed water; including permitting for generating, distributing and using reclaimed water across the state. 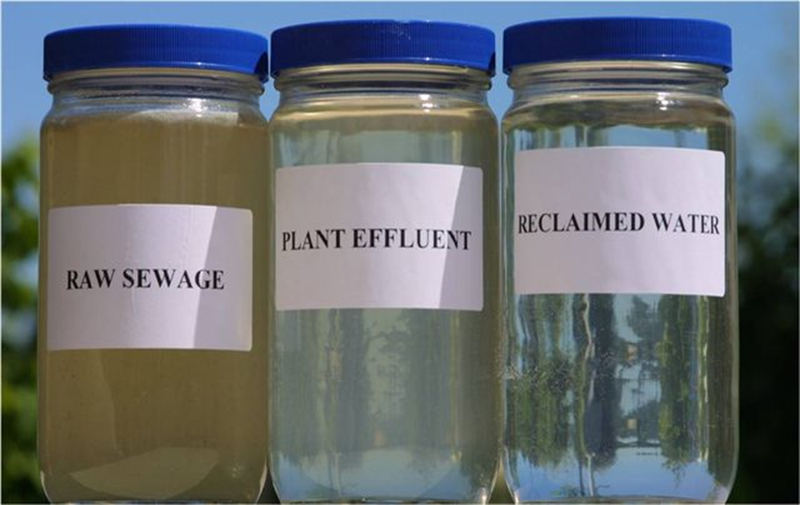 Reclaiming water uses advanced technologies to remove pathogens and contaminants from wastewater so that it is safe to be used again. Reclaimed water is a key component of managing Washington waters wisely and protecting our state’s resources for future generations. The use of reclaimed water preserves Washington’s drinking water, and helps reduce the discharge of wastewater to the state’s lakes, rivers and Puget Sound. It can also help our state prepare for impacts from climate change. Reclaiming water is one way Washington’s rapidly growing communities can meet increased demands for water. An example can be found in eastern Washington, where the Odessa aquifer is being depleted. The city of Othello, south of Moses Lake, is pursuing reuse and reclaimed water projects to take pressure off the aquifer and ensure the city has the water it needs. “We’ve documented declining groundwater in Othello’s water supply wells. The city is pursuing the reuse and reclaiming of water as tools for our city,” said Mayor of Othello Shawn R. Logan. The reclaimed water rule is the state’s first rule governing these practices. The rule creates statewide standards and makes a clear and predictable permitting process for reclaimed water projects, while protecting public health and water quality. The rule comes after a decade of work with Washington State Department of Health, utilities and other stakeholders to develop protective standards, as well as a project planning, design and permitting process that works for everyone. This rule will become effective on Feb. 23, 2018. The Brightwater treatment plant in King County produces "graywater" which is used to water some parks and golf courses. And hopefully people will consider what they use in their homes and then send down the pipes - I will never understand why nasty chemicals like Tilex are available "over the counter" !